I am proud to lead a Government that is so focused on making changes that improve New Zealanders’ lives. This is exactly what we are in Government to do, and our strong economy has given us a once-in-a-generation opportunity to make changes that will raise living standards for all New Zealanders. One example is the series of proposed adjustments to our tax system which will make it easier to pay tax and more clearly see the link between your efforts at work, and your pay packet. As a part of the proposal, if your only income is from a salary, wages or investments you will no longer have to file tax returns to receive refunds or calculate any additional tax. Instead, Inland Revenue would calculate and issue refunds, or let you know if you have tax to pay without you needing to do anything yourself. These proposed changes will be good news for around three million tax payers, and are a part of the $1.87 billion IRD Business Transformation Programme which is designed to simplify the tax system and make it fairer. Budget 2017, which we announced in May, included other tax changes which will make a tangible difference to New Zealanders and their families. The $2 billion a year Family Incomes Package was the centrepiece of Budget 2017 and is carefully designed to help low and middle income earners with young families and higher housing costs. It does this by adjusting income tax thresholds, increasing Working for Families and providing additional support for people on low incomes with high accommodation costs. It will lift the incomes of 1.3 million families by an average of $26 a week. It is expected to lift 20,000 families above the threshold for severe housing stress, and reduce the number of children living in families receiving less than half the median income by around 50,000. Many people I have spoken to since the Budget have told me that these changes will make a real difference to their incomes – and will ease the pressure of living and housing costs. These changes build on measures this Government has already delivered for families such as free GP visits for under 13s, the first real benefit increases in 40 years, and record investment in health and education. The changes we are making across a raft of different platforms are only possible because we have a growing economy, backed by a sensible economic programme. And we still have plenty of fresh ideas to help all New Zealanders share in the benefits this delivers. 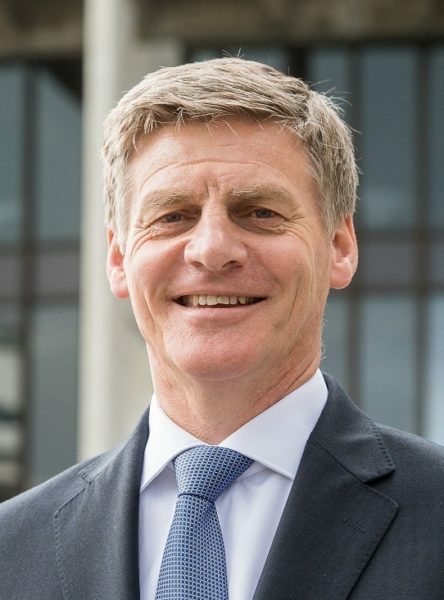 Bill English is Prime Minister of New Zealand.